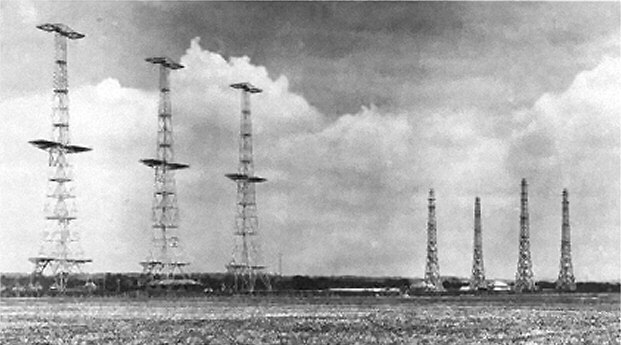 During the 1930s the Air Ministry secretly built a chain of radar stations along the eastern coastline of England that was to provide a crude but effective early warning system against air raids. In 1940 during the Battle of Britain this “secret weapon” gave the RAF a crucial tactical advantage over the superior strength of the Luftwaffe. But although at this time British radar was the most advanced in the world, it was far from foolproof, as was demonstrated by a series of strange incidents the following year. Late on the night of 20 March 1941, while the threat of German invasion remained, RAF Fighter Command was placed on red alert when its radar chain reported an attack on Britain’s south coast. Up to five separate stations could “see” a massive formation of blips moving slowly across the channel precisely as would be expected if a massive night raid by German bombers was imminent. As tension grew the blips approached from the direction of the Cherbourg peninsula in France until within 40 miles of the Dorset coast. At RAF Worth they lingered on the radar picture for two hours and appeared to change from massed groups to single echoes which then faded out. The next night the blips were back and engineers were called in to make adjustments that might eliminate “noise” from the system. For a period of weeks stations continued to report both mass formations and individual echoes. Whilst sceptical, senior officers began to fear these could be part of a sophisticated German plot to jam British radar with false signals as aircraft or towed gliders prepared for a real invasion. RAF fighters directed by ground radar were ordered to intercept and shoot down the mysterious objects. But when they arrived at the spot in the English Channel where the echoes were visible on radar, nothing could be seen. Although it was intended as a joke Sir Edward’s fantasy caught the imagination of serving airmen who were watching “ghosts” on their radar screens. According to the Oxford English Dictionary, from 1947 the term “angels” was commonly used to describe “unexplainable echoes” seen not only on radar pictures in Britain, but across the world. Since the war angels had been reported on a variety of ground radars operating on the short 10cm and 25cm wavelengths. According to one source they often completely covered the screen and “appeared as a cloud of responses very similar to the echoes obtained by small aircraft” precisely as they had in 1941. When they appeared as an individual echo they could easily be mistaken for a fighter-type aircraft as they followed a steady course and were plotted at heights from 2- 10,000 feet. Angels continued to be seen in the 1950s after the arrival of MTI (moving target indicator) radars, which were meant to eliminate much of the “noise” and ground clutter that plagued early systems. By 1954, when powerful Type 80 radars were installed at the radar research station in Malvern, angels had become a considerable hazard for fighter controllers. Type 80 had far greater range and performance than the wartime radar but was still plagued by angels. On some occasions they polluted radar screens to such an extent that they interfered with RAF exercises. At that time no one had a satisfying explanation for the phenomenon but there were two competing theories. The first was that angels were caused by temperature inversions in the lower atmosphere that created pockets of air which reflected radar beams. But this could not fully account for how the echoes moved against the prevailing winds or in excess of measured wind speeds. By February of that year HQ Fighter Command was so concerned by the problem that it ordered a secret investigation of angels by its Research Branch. The two-year probe was to combine the skills of its top radar technicians with the expertise of British ornithologists. Selected RAF radar stations around the east coast were asked to send 35 mm film from their radar cameras which had captured angels for careful analysis. Film and records flooded in and as patterns emerged from the data scientists kept watch over screens to plot the density and distribution of “angels” when they appeared. The investigation quickly disposed of the “temperature inversion” theory as the most likely explanation for all but the most unusual angel reports. Meanwhile, morbid experiments were carried out to measure the echoing area of various types of birds. Dead animals were obtained from bird sanctuaries and their bodies were wrapped in cellophane and then spun whilst radar was bounced off them to measure their “echoing area.” This was calculated to be around one hundredth of a square metre – similar to that of a bag containing a pound of water! By 1958 the investigation was concentrated upon one key radar station where angels had been reported with great frequency. 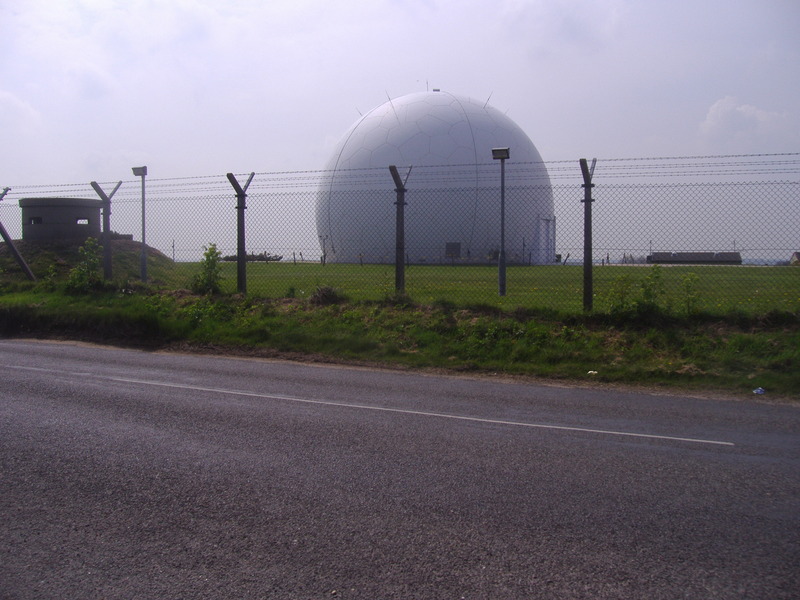 RAF Trimingham, near Cromer on the Norfolk coast, was one of the first to be equipped with the Type 80 radar. Ornithologist David Lack used this as a base to carry out spot checks for angel echoes six times every day for eleven months. This revealed the heaviest angel activity occurred during the spring and autumn months, usually at night in calm weather when birds were migrating over the sea at heights from 2-4,000 feet. Lack and his colleagues were able to demonstrate that what the radars were actually seeing were flocks of small birds migrating to and from East Anglia from Continental Europe. He found that autumn was the peak time with skylarks, chaffinches and starlings arriving in huge numbers. The second large movement began in late February when the same species departed, coinciding with the peak times for angel activity. Further independent evidence arrived in 1959 when staff working with Marconi’s experimental L-band radar at Chelmsford in Essex reported strange “ring angels” on their screens. These began at dawn as a point echo and then expanded to form a perfect ring followed by further concentric rings which had “precisely the same appearance as the ripples on a pond expanding from a point of disturbance.” The ripples were visible to a height of 2,000 feet and it was suspected they might have been caused by pockets of warm air rising from factories or mill chimneys. However, when teams were sent to find the origin point of the rings they could see nothing except open countryside. Then it was noticed that one copse of trees appeared to be covered with starlings. As the scientists watched, at the break of dawn a mass of birds suddenly and silently flew away from the trees in equal directions before arriving at another outer layer of trees. From there they again took off as if in response to an invisible command. These observations, added to the results of Fighter Command’s study, led the RAF to conclude that most “angel” echoes on radar were caused by birds. But a big problem remained. How could “angels” be eliminated from radar without playing havoc with the tracking and control of military aircraft? The answer was a gadget called ‘Swept Gain’ or Sensitivity Time Control (STC). This automatically reduced the visibility of permanent echoes on the radar picture and increased the strength of those created by aircraft. In the case of angels, it was a simple process to set swept gain controls so that the 0.01 sq metre echoing area of birds were automatically removed from the radar picture – leaving the one square metre aircraft targets clearly visible. This was simplified even further when aircraft were fitted with transponders which transmit an identification signal to ground radar. 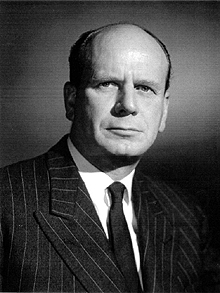 During the 1960s radar technology progressed in leaps and bounds as more powerful systems were invented to handle the steady increase in air traffic. Digital computers were then drafted in to take over the complex task of simultaneously tracking dozens of aircraft of all shapes and sizes. In order to sort the wheat from the chaff which clutter air traffic control screens, today noise caused by weather systems, birds, insects and other “spurious echoes” such as might be generated by true UFOs (whatever they may be) are automatically removed by computers at source. This explains why the vast majority of reports of UFOs on radar were made during the 1940s and 1950s, before improved radar and computer technology eliminated them from modern equipment. Throughout its early history, radar was dogged with technical problems that often led to spectacular misinterpretations of “angels” as enemy aircraft and flying saucers. It is a popular misconception that radar – like the camera -cannot lie and that UFOs “confirmed” by radar must by definition be solid, mechanical objects possibly from outer space. Credits: Thanks to the late Sir Edward Fennessy CBE, The National Archives and Roy Bullers/Newsletter of the Air Defence Radar Museum, RAF Neatishead. Quite a good description of the ring angel phenomenon, I first heard about this when (Sir) Eric Eastwood gave a talk at the U. of Kent in the 70’s. Probably the only significant omission is the vester flight of swifts, before radar, no-one knew where they went at night. It would be fabulous if you could point us to the mentioned Fighter Command studies or other research material (military or not) linked to this process of increased understanding of “angels” within the RAF. On another note I must say that it is indeed pretty interesting that radar operators had such an inadequate understanding of the origins behind various spurious echoes well into the 1960’s. I mean, to the point of still not really grasping what birds (the most common macroscopical thing occupying the sky) may produce in an air surveillance radar context until 1958-59! What about the more unusual non-aircraft echo-generating things then? Well, we know since the mid-60’s that convective bubbles often form within the atmosphere that can create strange radar echoes, prior to David Atlas et al’s research that phenomenon was unknown and the understanding of anomalous propagation was pretty much limited to the basic effects of rather large inversions and ducts (that could be reliably measured with radiosondes). That was it, very crude data indeed.. With the refined instrumentation of the 60’s suddenly we find that the localized and ever-changing hyperrefractive atmospheric layers that were earlier mere hypotheses for the source of some odd echoes but by many thought to be impossible (especially by UFO-proponents such as MacDonald) were a reality. Not to mention the wild echoes you on rare occasions get from creeping waves, that fooled the US Navy in the 1960’s and even later in the 1990’s, in both cases prompting an armed response and live fire against… Nothing but air. Quite the embarassment, as it turns out. In short. We know a lot, but far from everything. And the obvious uncertainty implied by this simply translates into don’t jump the gun. commentator the angels were in no way an issue,, niether were they a hindrance- the main effect of the Type 80 was to rattle the Russians and amaze the Americans. The effect of which was to deter any aerial activity into British airspace. We were well aware of the”birds”!